How does your business help those with chronic disease/medical conditions or who need pre & postnatal care? We offer one-on-one personal training that focuses on the individuals specific needs/goals. We stay up on current trends in medical fitness and attend medically focuses workshops as it relates to fitness training. 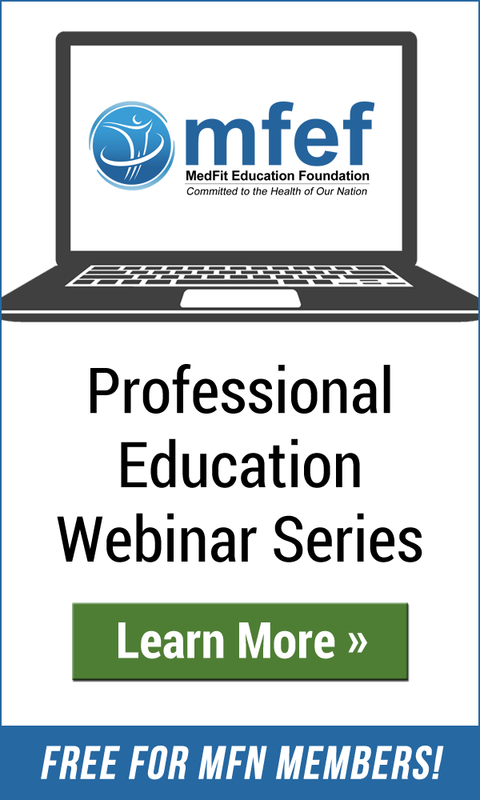 What makes your facility different from other medically oriented facilities? We are the only medically oriented fitness training facility in our area. Does your business support any community activities in your area and if so, what are they and why these? We support the Linda Geed Breast Cancer 5k event and various local school organizations. We like to stay involved in our immediate community as much as possible. What is a favorite memory of yours working with someone who had a health challenge or disability? We have a client who went from a wheelchair to a walker to walking on his own after having severe brain injuries. He now enjoys training on our spin bikes and using the TRX. We would like to see that personal fitness is covered by health insurances, especially for those who critically need it but can’t afford it. We have signed letters to state congressman asking them to make this a reality. Does your business have a motto, if so, what is it? Revitalize the body, restore the soul! I help people living with diabetes exercise safely and effectively. 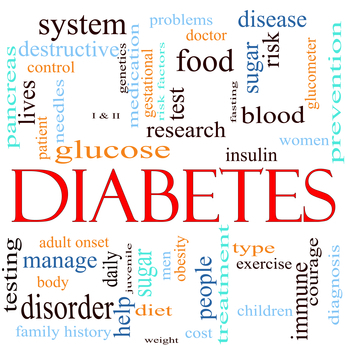 Especially for those taking insulin, exercise can be complex because it can lead to dangerously low blood sugars. With a structured approach and the right coaching, those risks can be reduced significantly. 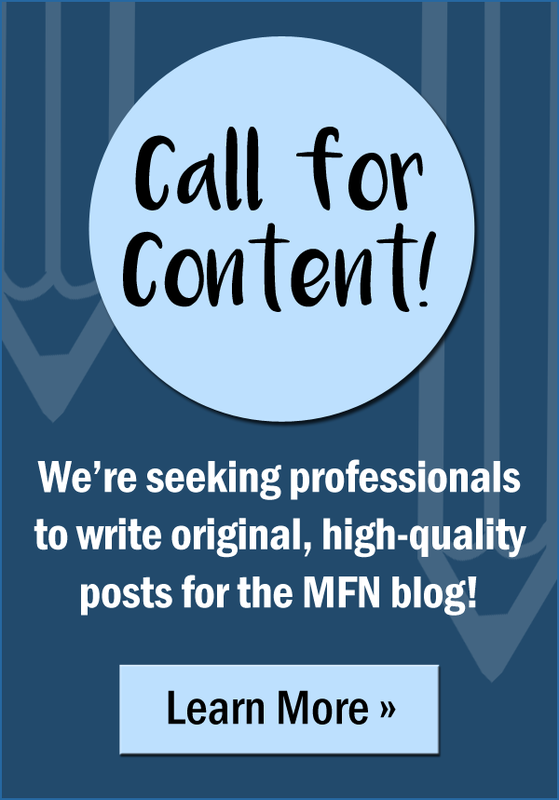 Last year, while searching for a specific trainer for a senior client with special needs in Orange County, MFN’s President and Founder, Lisa Dougherty, responded to my request. She shared her inspiring story of MFN and I was hooked! How do you or your business help those with chronic disease/medical conditions or who need pre-& postnatal care? 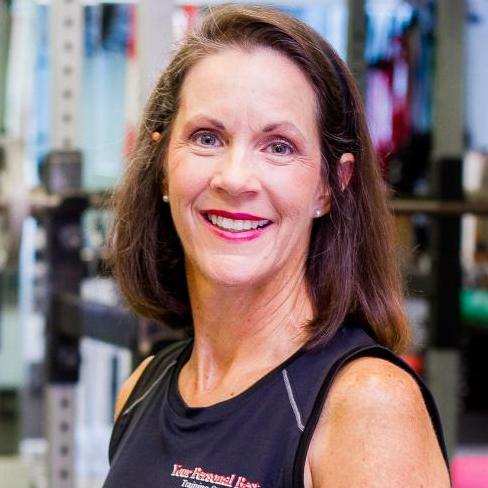 As a youthful, 62-year-old Certified Personal Trainer, who, along with my team of 23 trainers, create clinical exercise and movement programs for 50-plus year old clientele of all levels of fitness. Our trained instructors and physical therapists have a knowledge-based foundation to design a customized fitness programs for our clients. 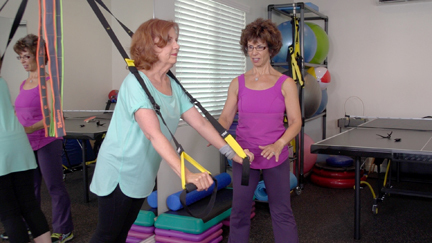 Some of our clients are making the transition from a medical model (rehab) to one of physical activity. Other clients (or their families) hire us because they want to reduce their risk of falling, maintain their strength or remain vital as they age. I also teach the fundamentals of how behavioral habits can strengthen their connection to independence. I have a far-reaching and vast background in helping seniors, so I combined my personal passion of physical fitness with my extensive background in home health and hospice for seniors. My entrepreneurial journey began in the 80’s. I started a very successful referral agency for families looking for assisted living for their aging loved ones. Prior to my business, in my spare time, I volunteered for over 20 years at assisted living communities where I would take the residents on wheelchair walks and offered musical entertainment. I sang and danced to Broadway show tunes and inspired the residents to participate in movement of all kinds. While working in home health, I learned about Medicare regulations. I also participated in meetings with the interdisciplinary team of physical and occupational therapists in addition to nurses and physicians where I learned about various conditions that limited our patients from living full and productive lives. I then became a certified Residential Care Facilities for the Elderly Administrator (RCFEA) so I would understand the protocols when referring clients and their families to assisted living and rehab facilities. 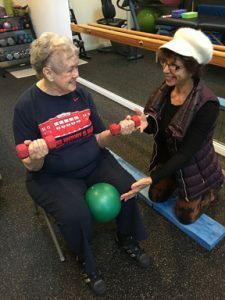 When I decided to leave the referral agency, a friend of mine suggested I become a personal trainer since I had much experience working with seniors and was devoted to physical activity. Dancing is my favorite activity. I met my husband dancing and we still use any excuse to dance. Even around the house, we’ll put on some music and dance in the living room. Music is a big part of my life. In my monthly newsletter, I list at least three songs to motivate my clients. The eclectic choices of songs listed range from Broadway show tunes to pop/rock to classical. Don’t get into the business of working with special populations such as seniors because the marketing experts say that it is lucrative. Follow your heart. If you want to make a difference in your clients’ lives and you understand that some may not be with you in the long term as with a younger clientele, it can be the best career move you could make in our industry. MAPS Charities, a non-profit organization that assists disadvantaged seniors in Los Angeles County, speaking to support groups at The Parkinson Resource Center and I teach several Arthritis Foundation Exercise Program classes each week at local assisted living communities. The most inspiring person I know is Alice. We met in 2009 shortly after she moved to the assisted living community where I had just started teaching a balance class. She attended only once. She approached me after class and asked if I would train her privately after her knee replacement surgery. That was seven years ago, she is now almost 92-years-old and, although she has had a few recent setbacks, she continues to travel, play piano, does her “Jack LaLanne routine” at home each morning and comes to see me twice a week at my home studio. We warm up with some dancing to Big Band music, occasionally play tug-of-war and then she thanks me for my patience with “this ole lady.” I adore her. I would like to experience a less competitive environment. We should be more supportive of one another. I often give and receive referrals from competing trainers and companies when the client is just not the right fit. I try to meet as many trainers as possible at places such as annual conferences as well as joining and utilizing services and organizations such as Medical Fitness Network. I educate my fellow trainers through workshops with The Lori Method, a customized workshop for trainers who serve seniors. Also, action inspires other to do more: I continually try to help and inspire by spreading the word through social media, blogging, videos, etc. My real middle name is Peppi! 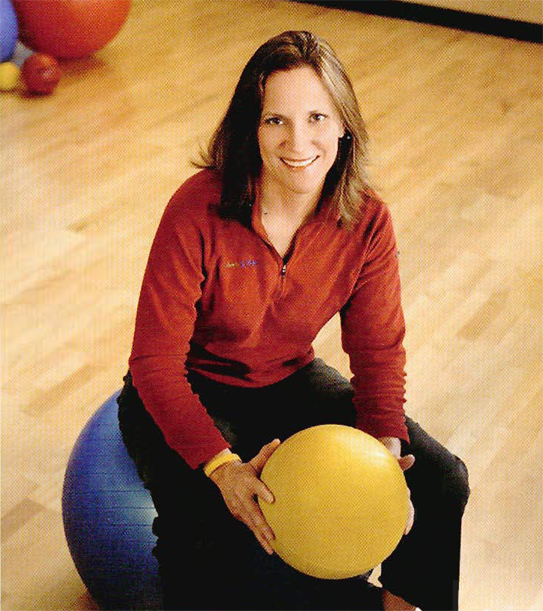 I am thrilled to be celebrating my tenth year with Lori Michiel Fitness and am honored that I am often asked to be a guest speaker for radio programs such as NPR and interviews on shows such as Huffpost Live; I have also been called on as an expert witness in court. My husband is 21 years my senior, works out every day and resembles the late Jack LaLanne. © 2016 by the American Diabetes Association. http://www.diabetesjournals.org/content/license. Readers may use this article as long as the work is properly cited, the use is educational and not for profit, and the work is not altered. Tri-City Wellness Center offers programming and services for diabetes, heart disease, stroke arthritis, respiratory disease, and women’s health. The RehabGYM is a medically oriented gym, fully integrating proactive care and rehab care in one space. 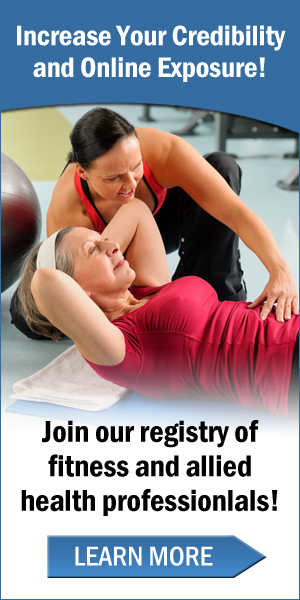 We can help manage the health of all people on the spectrum of ability and heath through billable patient care, membership, one on one fitness coaching and classes. Dr. Zimmerman specializes in patients with multiple medical problems that haven’t found help through Conventional Medicine. 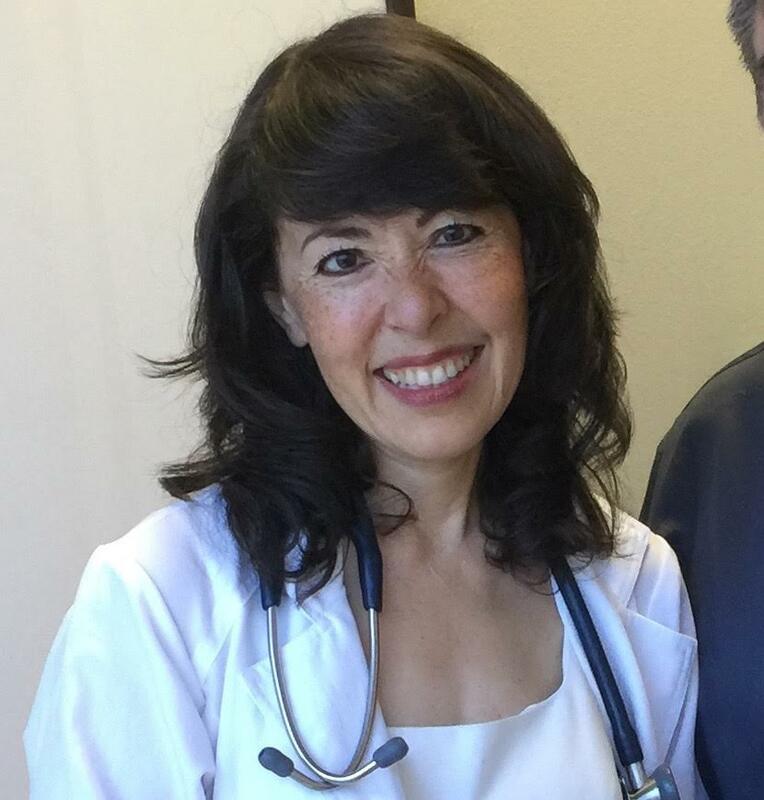 She uses the Functional Medicine Systems approach to address genetic variations and nutritional deficiencies, balance the immune system, hormones, and brain neurotransmitters, plus diagnose undetected Infectious Diseases, GI health, and Cardiovascular/Metabolic issues, instead of just treating symptoms. There aren’t any other facilities like ours in our community. 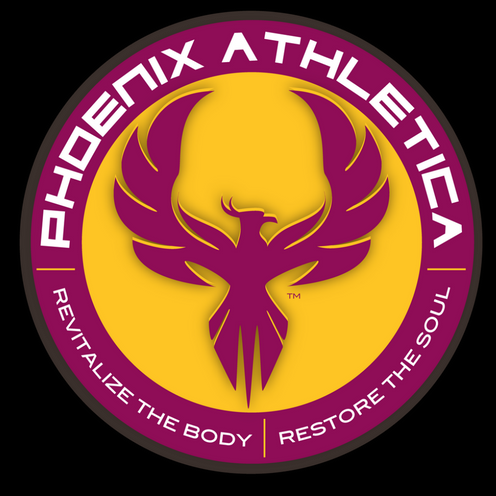 We specialize in assisting most people with physical and medical challenges get more healthy and fit (Body, Mind and Spirit).